Disposable Mask offered comprises fine quality face mask that can be suitably used for medical, industrial and food sectors for maintaining the defined hygiene standards. 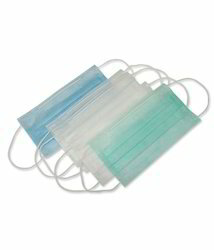 Made available in standard sizes, these masks can be developed using polyethylene, polypropylene and rayon material options and provides use as disposable mask. Some of its features include available in different color choices, generates suitable barrier to dry particles and microorganisms, offers excellent filtration of bacteria and dust particles, allows for easy breathability, suitable for use in food & beverage areas, medical sector and others. 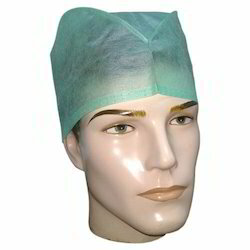 Being the leading names in the industry, we offer wide array of Surgeon Gown Non Woven that are light in weight and are offered in varied standard sizes. Our entire product range is quality approved and ensures perfect fitting. Our entire product range is easy to carry. 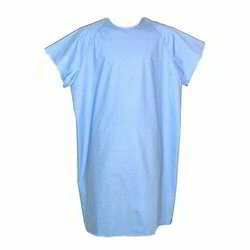 Avail from us perfectly stitched patient Gowns, which are offered in various sizes. The gowns are designed to provide uttermost comfort to patients. These are appreciated for their durability, excellent finish and tear resistance. High quality fabric is used in the production to ensure durability and skin-friendliness. 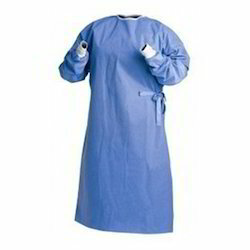 We deliver these gowns after proper sterilization and put these on various tests to check the quality.